Shrimp scampi isn’t an entree most people would consider deer hunting camp fare. But they probably don’t know the Menard boys from Crookston, Minn., either. This past month, I made my fifth trip to Tamarac National Wildlife Refuge and to Tamarac Resort on Round Lake to join my cousins, Kim, Joe and Tom Menard — and Joe’s son, Matt — for the 2017 Minnesota deer hunting opener. 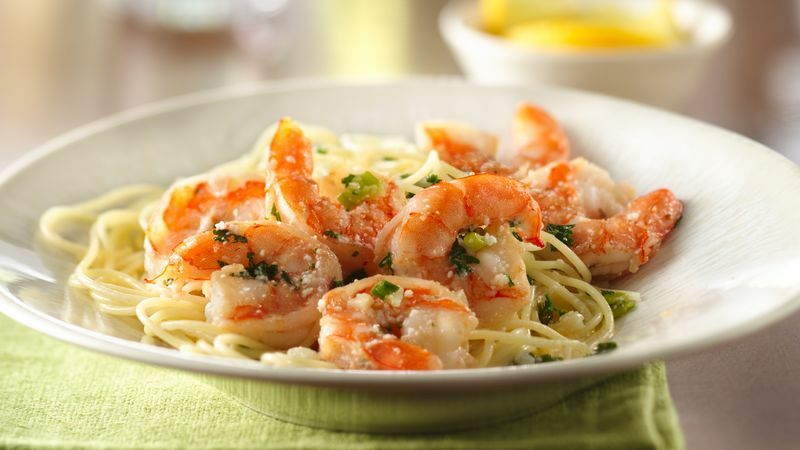 One of the meals we traditionally have during our time together is shrimp scampi, which Joe prepares with some of the garlic butter Kim has brought to camp. Along with some sautéed venison tenderloins and backstraps, it’s a meal made in heaven, our own version of surf ‘n’ turf. Our neighborhood supermarket recently had shrimp on sale, so I decided to give scampi a try, and the result was nothing short of delicious. Eat your hearts out, Red Lobster fans. Heat a saute pan on high heat then reduce to medium high heat. Swirl the butter and olive oil into the pan. After the butter melts it will foam a bit then subside. If using unsalted butter, sprinkle a little salt in the pan. Stir in the slivered garlic and red pepper flakes. Saute the garlic for just a minute, until it begins to brown at the edges, then add the shrimp. Add the wine and stir to coat the shrimp with the sauce of butter, oil and wine. Move the shrimp so they are in an even layer in the pan. Increase the heat to high and boil the wine for 2 to 3 minutes. Turn shrimp over to cook on the other side: Stir the shrimp and arrange them so that you turn them over to cook on the other side. Continue to cook on high heat for another minute. Remove the pan from the heat. Sprinkle the shrimp with parsley, lemon juice and black pepper, and toss to combine. Serve as is or with crusty bread, over pasta or over rice.